Cube vase may be clear glass. Florist Notes: This exact vase may not be available in all places. A clear glass vase may be used to make the design if color is not available.. Arrangement Details: A variety of available mauve flowers will be used to hand make this gift. 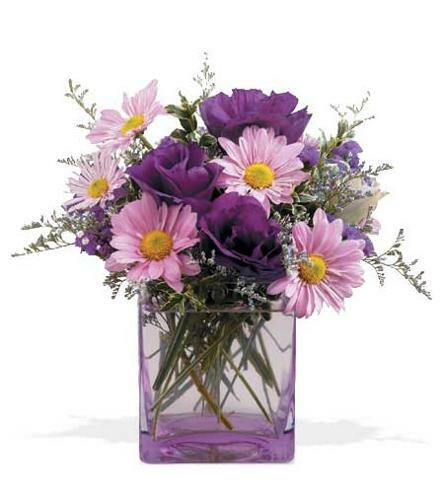 Flowers shown include daisies, statice, and lisianthus which is seasonal and not always available. Hand made and hand delivered by our local floral expert.